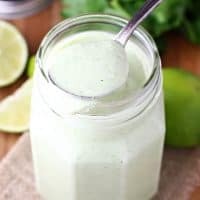 CREAMY CILANTRO LIME DRESSING — Sour cream, mayonnaise, Ranch dressing mix, lime and fresh cilantro come together in this creamy sauce that is perfect with all kinds of Tex-Mex fare. If you live anywhere near a Cafe Rio, you know how delicious their Creamy Cilantro Lime Dressing is. If you don’t, you need to find out! 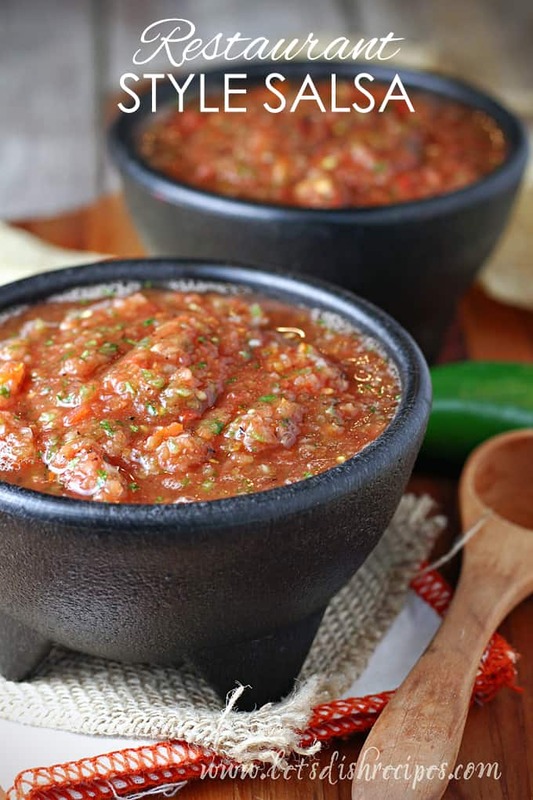 This dressing is pretty much a must have condiment any time we serve Mexican food at our house. I have yet to encounter a Tex-Mex dish that isn’t improved with a drizzle of this delicious dressing. We make this creamy dressing to go with all kinds of Mexican food, but we especially love it in burritos. And of course, being a dressing, it’s the perfect thing to serve with taco salad. 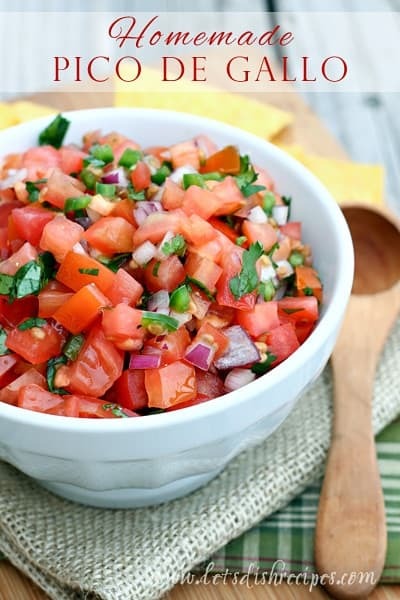 It makes a great dip for tortilla chips and veggies too. And it’s so easy to make! You just throw everything into a blender for a minute or two and you’re good to go. Sometimes I add a splash or two of milk to get it to just the right consistency. If I’m going to be using this dressing as a dip, I like to leave it a little thicker. This is one of those recipes that you don’t have to follow exactly, so feel free to make adjustments to suit your tastes. 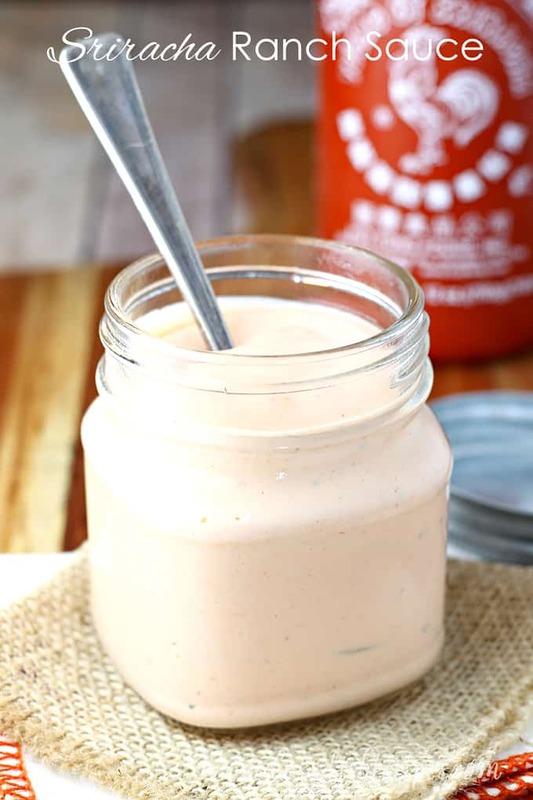 I prefer to make this with 1/2 the package of ranch dressing mix, but if you really love Ranch flavor, follow the recipe and use the whole package. This does make a lot, but don’t worry, it goes fast! Personally, I could eat it from a spoon, which might explain why it doesn’t last long at our house. But don’t worry, if you don’t finish it off right away, this dressing will keep for up to a week in the refrigerator. I like to store mine in a Mason jar. 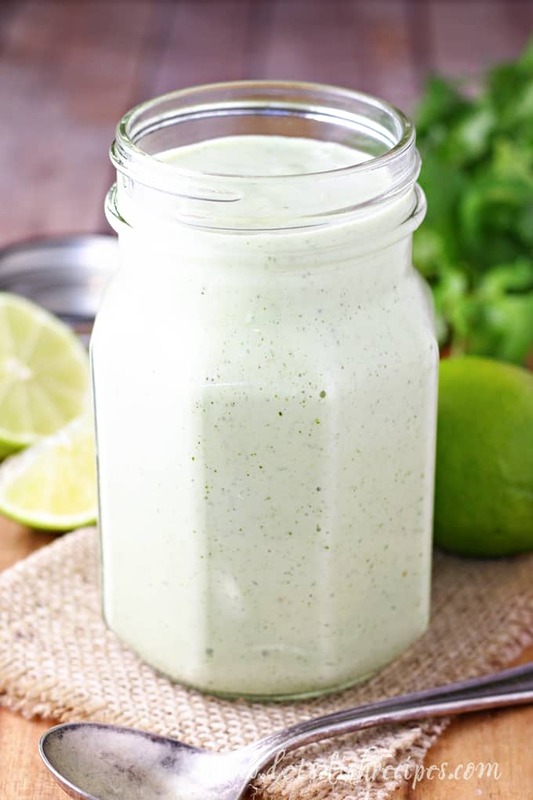 Be sure to save this Creamy Cilantro Lime Dressing recipe to your favorite Pinterest board for later. 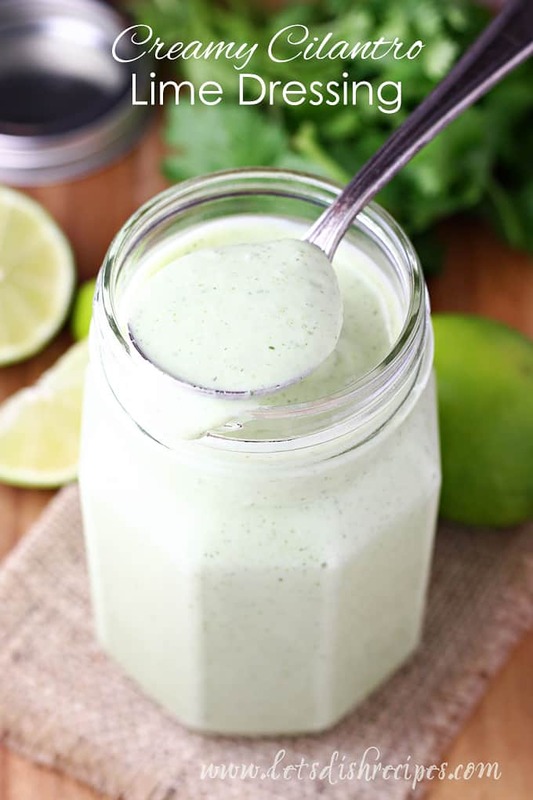 Sour cream, mayonnaise, Ranch dressing mix, lime and fresh cilantro come together in this creamy sauce that is perfect with all kinds of Tex-Mex fare. Combine all ingredients in blender or food processor and blend until smooth. Thin with milk if desired. Who Dished It Up First: This is the dressing for Cafe Rio’s famous shredded pork salad. I’ve taken several versions from the internet and combined them to make this recipe. Made this dressing tonight! My teenagers and husband loved it! I’ve only eaten at Cafe Rio one time so I can’t compare it, but it was delicious. Thank you! Thank you! My teenagers love it too!